The services and supports in Element 1 are broad efforts focused on promoting and strengthening the well-being of individuals, families, and communities. A healthy community with strong social supports helps to establish a foundation for all aspects of the continuum of care. In periods of stress, where substance use issues mostly occur, social support networks can provide essential care and encouragement for personal, family, and collective healing. People who may provide Element 1 services and supports include but are not limited to community members such as parents, family, and friends; staff from all community programs; and leaders in the community, both formal and informal. Community development describes the intentional actions taken by a community to increase their overall health and wellness. Community development strategies work best when they are community-driven, long-term, planned, empowerment-based, holistic, build ownership and capacity at the community level, and take into account the broader social and economic context. This context may include the influence of education levels, living and working conditions, poverty, awareness of culture and traditional language, social environments, history of colonization, and access to health and well-being services. Capacity within community is an important foundation to effectively plan, implement, and evaluate community development activities. Community capacity includes the practical, team-building skills of facilitating community consensus; leadership skills; cultural resources and knowledge; health and wellness knowledge and expertise to provide mental health promotion, addictions treatment and prevention. In harmony with community development, universal prevention approaches are aimed at the general public or a population within a region or a community (e.g., youth, pregnant women, or older adults) with the specific goal of promoting healthy behaviours and preventing, reducing, or delaying substance use or abuse. Effective prevention initiatives focus on strengthening protective factors and minimizing risk factors. These initiatives are positive, proactive and offered to everyone, no matter what their risk status. • alcohol or drug policies and strategies within a community. These efforts are often most effective when based on Indigenous value systems and culture, plan for future generations, and combined with other health and social strategies or frameworks at the community level. Health promotion is a process of empowering people to increase control and improve their health and its determinants. These efforts help people engage in safer and healthier lifestyles, create conditions that support such lifestyles, and restore healthy and supportive family and community dynamics. They can also advance skills, knowledge, changes in attitude, or community environment to help people engage in safer and healthier lifestyles. Specific to substance use and mental health issues, health promotion may be paired with universal prevention programming in a variety of ways. This may include a range of approaches to build self-awareness, self-esteem, healthy boundaries, and effective assertiveness skills. These skills and approaches may serve as key protective factors among individuals, families, and communities to reduce, delay, or prevent future substance use or mental health issues. They may also build awareness among youth and families of cycles or patterns of behaviour (e.g., addiction, or physical, emotional, or sexual abuse) that are key risk factors for these issues. Awareness is often an important first step in breaking these patterns of behaviour, both in the present and intergenerationally. Health promotion may also include long-term planning to ensure future generations are adequately supported. It can also contribute to healthy public policy development; help to create supportive environments; and, where appropriate, lead to re-orienting or re-focusing health services. Community health promotion can enhance community development efforts that are based on local needs identification and community- or region-wide inter-agency planning (e.g., needs assessments based on participatory approaches). This kind of community health promotion targets issues in a multi-dimensional, holistic fashion as communities become the focal point of decision making and operations for health services. There are a number of examples of First Nations communities who have developed holistic approaches to community-based healing. One of the more dramatic examples is Alkali lake (Esketemc First nation) near Williams lake, British Columbia. 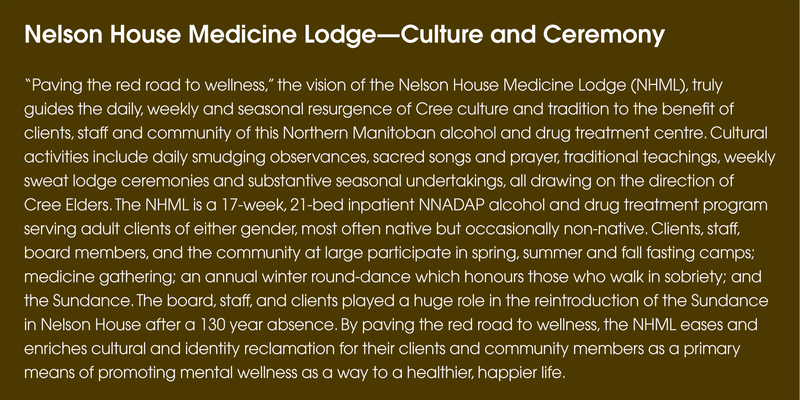 In reaction to high rates of alcohol addiction, with nearly all of the community seen as dependent, the community engaged in an ongoing healing process to transform health and social conditions, promote individual and community wellness, and revitalize traditional teachings and practices. Guided by continued leadership, commitment and support, this process started with one sober person and expanded to 95 percent of community members indicating that they were clean and sober. Throughout the process, sober community members worked to eliminate the bootlegging of alcohol through collaboration with the RCMP. As well, a voucher system was established with stores in Williams lake for food and other necessities, where some of the community’s heaviest drinkers received these in place of social assistance funds. Community development efforts vary considerably from one community to the next. At present, a majority of First Nations community development efforts are focused on economic development. However, there is a growing recognition among government departments and communities that efforts benefit significantly from including a focus on mental health and well-being. The intergenerational impacts of residential schools can sometimes contribute to mental health issues, which can hinder collective action. Despite these challenges, there are examples where communities, in partnership with their leaders, have implemented community development projects that target either mental health or addiction issues. These projects often focus on individual, family, and community wellbeing within the broader context of social determinants of health. 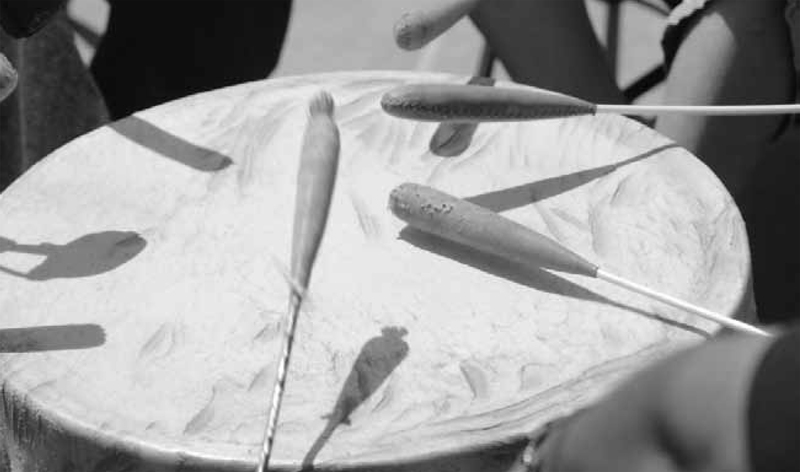 Such projects promote community interconnectedness and cultural identities through traditional teachings and ceremonies. However, the significance of this approach may not be recognized by the communities themselves or by research bodies and policy-makers. A wide range of community workers, including NNADAP workers, Brighter Futures coordinators, suicide prevention workers, Community Health Representatives (CHRs), youth workers, and teachers, have a role in delivering prevention, health promotion, and community development in First Nations communities. As key parts of the health system, some of these individuals have a passion for, and understanding of, prevention work. That being said, many workers also find it hard to create time and space for prevention, health promotion, and community development activities as they are overwhelmed with crisis response, treatment needs, and other demands, which often take priority over these activities. Subsequently, workers tend to provide basic supports to clients in the form of counselling, as well as transportation to and from treatment facilities. NNADAP community-based addiction workers vary in their capacity to carry out prevention roles. In some cases, workers are mostly qualified to do counselling but they may not have formal qualifications to develop or carry out prevention programs. As a result, an ongoing concern for NNADAP community-based addiction workers is that training and certification activities are not geared toward prevention. Instead, these actions focus on personal development in the field with little emphasis on population level responses, community development, and public health/prevention theory and practice. In general, NNADAP workers receive limited training each year to advance their knowledge of addiction issues and to enhance their prevention skills and approaches. While workers in some communities clearly know what their roles are, well-developed resources and job descriptions are not common across the system. An additional challenge is the fact that community prevention funding for NNADAP is often used for wages, whereas Brighter Futures and Building Healthy Communities funding is often focused on program activity dollars. This has led to calls for strengthened collaboration at the community level and greater integration of program dollars at regional and national levels. Current prevention efforts, where they exist, are mostly focused in schools. In many cases, school interventions are limited to public speakers, participatory events, and reading material distribution during National Native Addictions Awareness Week. As well, there are some examples of community awareness raising and support offered in the form of community workshops and events. Many communities have raised concerns about the lack of support for prevention and health promotion, both in terms of leadership not acknowledging their importance, and funding limitations. 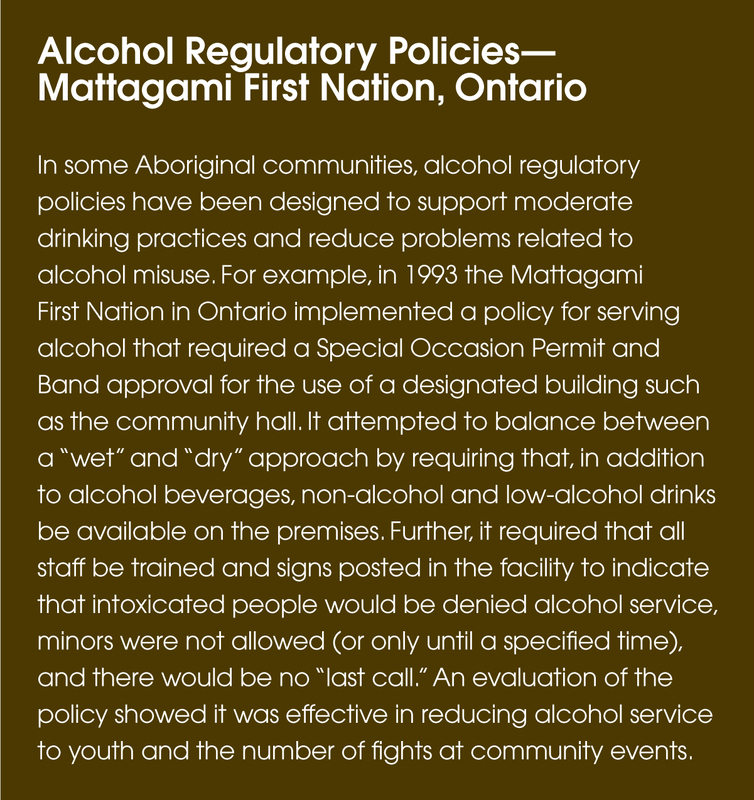 For example, some communities support by-law policies that create dry communities. However, when such by-laws are passed, bootlegging is common and enforcement is a significant challenge. In general, by-laws are usually not effective unless they are coupled with a broader wellness approach which addresses the complex social and health conditions that lead to substance use and mental health issues. The community context where prevention and health promotion activities occur can be affected by many challenges that threaten implementation. One of the main challenges is the difference in capacity of each community. While some communities have set up an integrated, comprehensive approach to prevention, many do not have the capacity to support a range of such activities. This is particularly the case in smaller, rural/remote communities that only have funding for one part-time addictions worker. The lack of more comprehensive prevention activities is often due to a lack of knowledge, resources, or a coordinated plan to support culturally relevant, community-based prevention and health promotion activities. • A system-wide approach to community development to promote the local control of services and support and include a strong focus on mental wellness within communities. Such an approach would be designed and directed by community members and leadership and include a focus on First Nationsspecific social determinants of health. It would also focus on improved collaboration with other communities, community programs, as well as multiple levels of government and other federal departments (e.g., Aboriginal Affairs and Northern Development Canada, given its central role in supporting communities when it comes to many determinants of health). • A process for collecting and sharing successes, challenges, and lessons learned from local community development activities. This would allow for useful regional knowledge exchanges to occur through the sharing of experiences, hopes, and needs across regions. Such an approach would take time and investment, but would be an effective way to build processes which can nurture and expand healthy community development. • Coordination of services in the community, including partnerships with police, justice, child welfare, housing, education, job and training, social assistance, health, cultural programs and community governance, which would help to ensure a multifaceted, community-wellness focused approach. Means to support this collaboration could vary and may include multidisciplinary mental wellness teams and leadership roundtables composed of local program managers. • Ongoing community discussions about culture in order to define its role in service design and delivery and within broader community development efforts. These discussions could help to inform dialogue between a community and other individuals (e.g., service providers) and organizations (e.g., provincial and federal departments) directly involved in community wellness so as to ensure that cultural differences are respected in all dealings. • Consider how to build a continuum of care beyond prevention and residential treatment. This approach could involve learning more about the kinds of mental health and addictions services which could be available in a given community, per this framework. • Ongoing engagement and support of parents and families within communities, especially those who have school-age children. Parents and families need support and assistance from service providers, Elders and community leadership to maintain an environment of inter-generational wellness and support. Part of this would involve including more and better activities for youth (e.g., sports and recreation activities) within the community. As well, school staff may require more training to work with parents, families, and health and social service providers in order to offer a network of observant and engaged role models for youth. 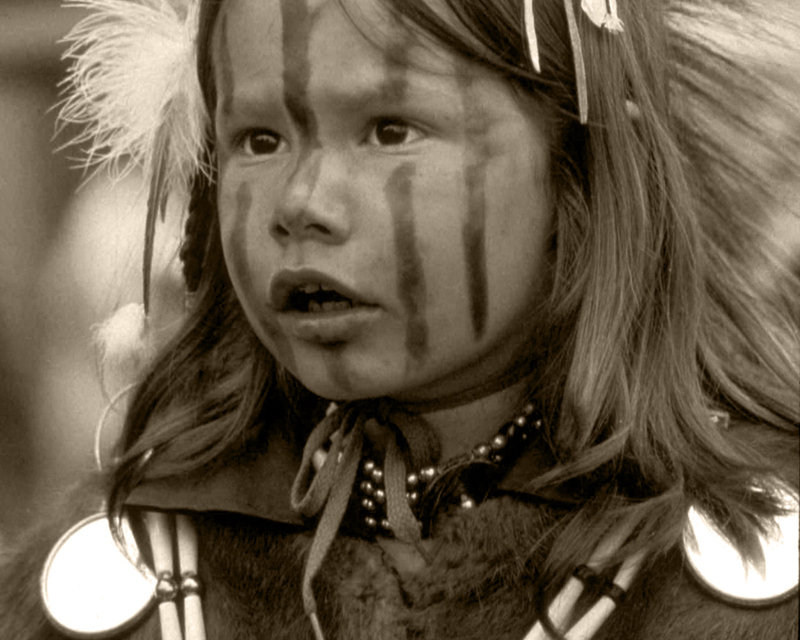 • Chances for youth to meet and engage with each other and with other generations through holistic outlets such as art, sports, dancing, drumming, or learning their Indigenous language. Intergenerational activities and sports have been found to be a good way to share values and ideas, as well as to promote healthy behaviours. Youth can be given support to develop and lead activities or programs they feel would benefit them. • Mobilization and support of community volunteers to provide community development activities, including recreation, community events, and general activities that help to strengthen community support, promote wellness, and transmit knowledge. 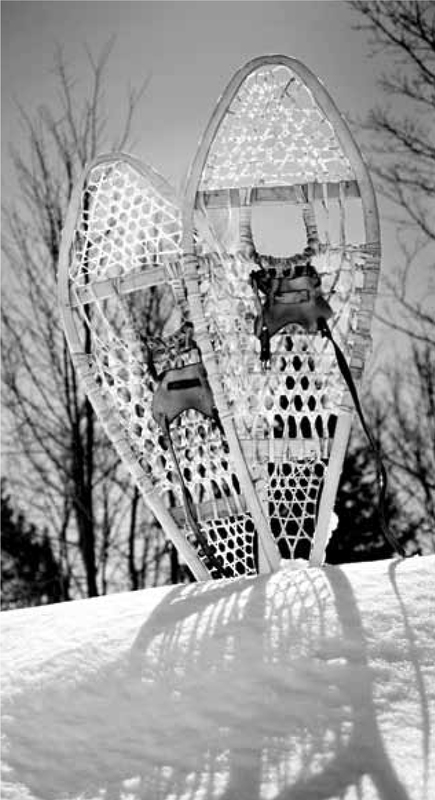 Tribal Journeys has become a movement embraced by international coastal First nations communities. For two weeks each summer, canoe families (all ages) from up and down the coast make a drug- and alcohol-free journey to a host community. the journey has profound therapeutic value and promotes a healthy lifestyle, not just during the journey, but in the months leading up to it. Spiritual, emotional, social, physical, cultural, and mental challenges are supported by elders and knowledge keepers such as canoe builders, skippers, traditional food gatherers, cooks, and paddlers. team meetings allow people to speak of their emotions during the trip. Skipper meetings recognize the skills of those who know the water and embrace the longing of others to learn. 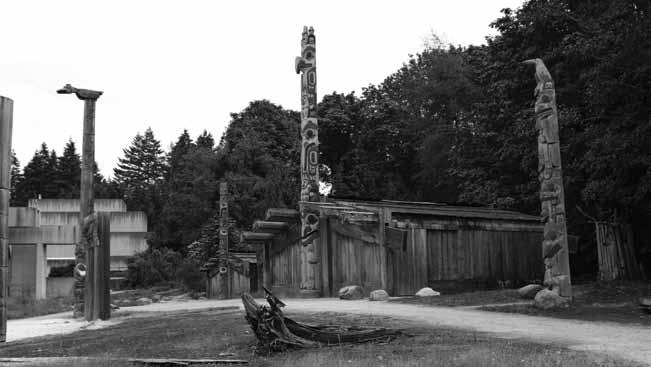 in each First nations community, the visitors are fed as they rest overnight. the success of these tribal journeys is based on a strong cultural foundation that embraces both the past and a modern world. Family involvement allows for intergenerational healing, and relationship building that spans decades. Families and friends celebrate in sobriety, a practice that reflects strong ancestral processes. include secondary risk reduction services and supports to people who are actively using alcohol and other drugs (see Element 3). • Community-driven alcohol policies that focus on promoting health, regulating alcohol supply, reducing instances of driving while intoxicated, reducing environmental risk factors, and broad-based actions to change drinking-related norms and values. These policies will require continuous monitoring and must evolve with both the available evidence, and the values and norms within the community. • Self-care and management tools and resources that help people manage their own health and wellness. This many include sharing information to help individuals and families make informed choices about health and wellness services and could also include a range of self-management tools (e.g., books, correspondence courses, computer programs and websites). • Support for families and others who are either close to, or have been impacted by, someone with a substance use issue. This may include family based-programming, cultural supports, or “codependency”— focused mutual aid groups (e.g., Co-dependents Anonymous or Adult Children of Alcoholics). These forms of support can help individuals adopt healthier behaviours, set boundaries, build self-esteem, support a loved one’s recovery from addiction, and help individuals and families recognize and break patterns of behaviour. • Strengthened collaboration between prevention and health promotion approaches with treatment, pre- and post-treatment, and community-based intervention services at all levels. The goal would be to create a balance between the needs of community-wide prevention and treatment with support efforts to help promote and sustain healthy behaviours within communities. • Coordination and cost sharing of prevention and health promotion activities with provincial services. This would support new ways of working at the provincial level and provide ways to exchange knowledge on prevention and health promotion models. In the community of Kahnawake, Quebec the First Nations Health and Social Services Resource Center (FNHSSRC) was created with the objective of providing information to community caregivers promoting the health and well-being of Aboriginal families. Bilingual newsletters are published quarterly with information pertaining to the Native Alcohol and Drug Abuse Prevention Program (NNADAP) projects in the Quebec region. Among the many resources available are DVD documentaries, pamphlets, documents, and conference dates provided by outside agencies to the Centre. Subjects include mental health, bullying, child abuse, family violence, FASD, suicide, tobacco, AIDS and sexually transmitted infections, and teen pregnancy. An extensive data base lists the materials and clients are able to order on-line or by telephone. An extensive list of resources is available from the Center’s catalogue found on their website. Prescription drug abuse (PDA) has emerged as a critical issue in many parts of Canada, both on- and off-reserve. The problem use of prescription drugs can be defined as the use of a drug for something other than its intended medical purpose. Often, abuse involves using a drug to get high and misuse is defined as not using a drug in the way it was prescribed. There is limited surveillance data available to completely capture the extent of the use or prevalence of PDA in First Nations communities, particularly as it relates to illicit supply sources (thefts, organized crime, family members procuring or using another family member’s prescription, and internet supply). However, First Nations in some regions have described prescription drug abuse as a high priority issue, and others have said it is an emerging concern. According to the 2002–03 First Nations Regional Longitudinal Health Survey the use of substances without a prescription (including codeine, morphine and opiates) had the second highest frequency of use, after marijuana, with 12.2% of the population reporting the use of these drugs over the past year. The availability of prescription drugs in First Nations communities can be attributed to the following main sources: Non-Insured Health Benefits Program (NIHB); Provincial drug plans/cash payments; and illicit supply. For this reason, while NIHB data is important in establishing the extent of PDA in First Nations communities, it has its limitations. For example, NIHB data does not capture drug claims paid through other provincial plans, paid by cash, or purchased on the Internet. In some communities, the issue is illicit supply of prescription drugs, either through organized crime or individual users. Prescription drug abuse has been a target of both NNADAP and several community-based pilot projects funded by Health Canada. The pilot projects raised awareness of prescription drug abuse through various means, including promotional materials, workshops focusing on youth, community and cultural events, and social activities. Specific examples of community interventions to increase awareness of PDA include going door to door to educate community members about healthy prescription drug use and the disposal of unused or expired medications; a public notice in the health centre that medical doctors will not prescribe any form of narcotic drug, and that counselling, treatment plans, and referrals to resources would be offered to individuals seeking help with chemical dependencies; engaging elders to be champions in supporting young mothers with prescription drug misuse issues while teaching them how to prepare nutritional, traditional and affordable meals; and implementing “train-the-trainer” workshops to increase capacity within the community. Results of the pilots showed that certain key elements are important for successful interventions at the community level; the development of steering or advisory committees to guide prevention efforts at a community/regional level; support from chiefs in council; collaboration with police, schools, family services and health centres; community consultations; use of the mass media; multidisciplinary team approaches; and showing people how much of a problem it is, using local data. 1. Multi-sectoral collaboration— partnerships with addictions programming, policing, nursing, and schools. 2. Research and Surveillance—tracking patterns of use as well as research into best approaches to prevention and treatment. 3. Demand reduction—prevention initiatives to help reduce the demand for prescription drugs, particularly among youth. The work related to prevention is very similar to that which is described in Element 1 for all substances, however it has been noted that often there is a need to highlight the risks associated with using prescription medication in ways other than how they were prescribed. 4. Supply reduction—prevention initiatives looking at both legitimate and illicit supply. To address supply reduction, NIHB has several strategies, including warning messages to pharmacists about repeat prescriptions; giving pharmacists details on a client’s drug therapy history; trend analyses of both client and program level prescription drug use; and the creation of an independent advisory committee to provide input, evaluation, and recommendations for client safety. 5. Treatment—as described in Elements 4 and 5. • A multi-faceted approach to address the issues of prescription drug abuse, including exploration of traditional medicine and alternative therapies; improving access to counselling services; reducing peer pressure; and putting in place education and prevention strategies aimed at youth, doctors, pharmacists, dentists, police and the general public. • Focus on long-term success by linking prevention work with structural change at all levels to shift social norms from reliance on prescription drugs. The findings of community-based pilot projects provide a number of examples of approaches that have worked well in communities. • Infrastructure to support collaboration among the First Nations and Inuit Health Branch staff, NNADAP staff, doctors, pharmacists, police and band councils to lessen “double doctoring.” This includes raising awareness of First Nations health issues within bodies such as the Royal College of Physicians and Surgeons of Canada, the College of Family Physicians, the Canadian Medical Association, and medical schools. It may also include development of an early warning system for prescription drugs use/abuse in First Nations communities. • Strengthened evidence base regarding the incidence and prevalence of PDA, including sources of illicit supply. • Partnering with justice, social, and other sectoral partners at the national level to coordinate development of community-based prevention programming for youth. • Cooperative approaches with physicians and pharmacists to support appropriate prescribing at the community level. • Set NIHB coverage limitations for clients identified with PDA problems. • Expansion of NIHB Prescription Drug Monitoring for clients at risk. • Support for community-based workers, particularly specialized training and clinical supervision. • Strengthened access to appropriate counselling services at the local level where possible, in partnership with doctors and pharmacists. • Support for local health services and treatment centres to ensure appropriate use and collaborative approaches to pharmacological therapy, such as methadone. • Development of alternate approaches to treatment for those who are uncomfortable with harm reduction practices (e.g., methadone) and for rural and remote areas. The service and support components in Element 2 help to identify, intervene with, and support those who are either at risk of developing a substance use issue or who are currently engaged in problematic or risky substance use. Element 2 also provides ongoing support to individuals and families who have accessed more intensive services in the past (such as active or specialized treatment). People who may be well placed to provide Element 2 services and supports include: primary care and emergency health staff (e.g., doctors, nurses, nutritionists, health centre staff, and CHRs); NNADAP community-based addiction workers; cultural practitioners; social service workers; maternal child health home visitors; FASD mentors; law enforcement or correctional workers; staff at urban Aboriginal friendship centres; an a range of community and social supports (e.g., family members, teachers and friends). • who have experienced childhood traumas or family disturbances, including former residential school students and their families. Examples of targeted prevention include community support programs targeting at-risk families or communities, youth specific interventions, targeted health education, and social marketing programs to reduce stigma and discrimination. Early identification involves a range of approaches to screen people who have or may be at risk of having a substance use issue (and in some cases a mental health issue). Screening is a process for determining the possible presence of a substance use (or mental health) issue; the level of risk to an individual, family, or community; and whether or not a more comprehensive assessment is required (see Element 4 for more information on comprehensive assessments). Screening can be done by a wide range of individuals, such as primary care professionals, child welfare workers, police, friends and family, and in a range of settings (e.g., schools, recreation centres, or workplaces). Early identification of substance use and mental health issues may lead to early treatment and self-management, and is important for reducing current or potential addiction or mental health issues. Brief intervention is a time-limited supportive conversation between a substance user and someone they trust and respect. 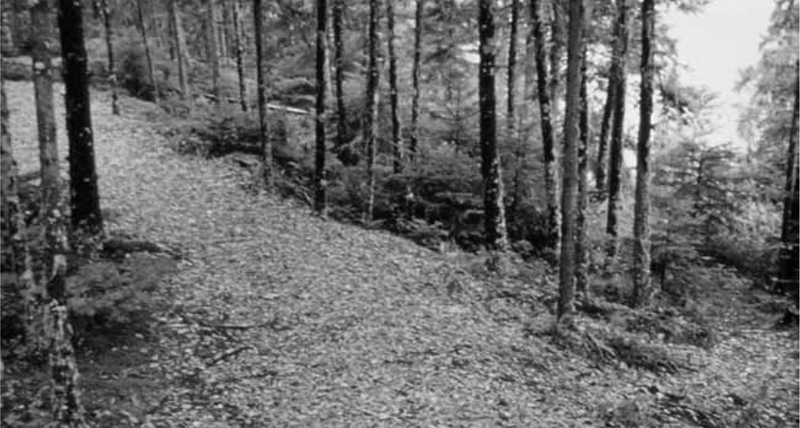 These conversations can be structured or unstructured in nature; vary from a five minute discussion with a friend to a series of hour-long, structured conversations with a health care professional or Elder; and aim to help the person set goals for healthier behaviours related to their substance use. Key mechanisms for achieving this can include personalized feedback on substance use patterns and the effects they may be having in a client’s health or life. Brief interventions are mostly offered by health or social service providers who know the person. It can also be used by others, in other settings, such as in nursing stations or emergency rooms, and by teachers, school counsellors, or parents and other family members. By dealing with substance use and mental health issues through early identification and brief interaction it may be possible to stop them before they become more severe and complex. It is important that care providers know where to refer clients when it is clear that the client’s substance use issue requires more intensive support (see Elements 4 and 5). This may involve referring the client for a more comprehensive assessment or directly to treatment services should the situation warrant it. This may also require a care provider to take the role of a case manager or to provide linkages to case management services to ensure appropriate navigation of available services and supports. Case management is discussed in more detail in Element 6. Risk assessment and pre-treatment support is necessary for many clients with moderate to high substance use issues who are in need of treatment. These services provide an opportunity for the provider to assess an individual’s readiness and motivation for treatment, along with any potential risk factors or patterns of behaviour that may lead to future substance use involvement or issues. Risk assessment and pre-treatment support can address potential barriers to participation in treatment and help enhance a client’s motivation. Support may also help clients prepare for the upcoming treatment process and can involve looking at a client’s holistic needs, working with other service providers and sectors, as well as the person’s community and social supports. For example, a youth who is at risk of a substance use issue may be far more likely to accept support from a school teacher or sports coach than those of an unfamiliar NNADAP worker. • a wide range of approaches using technology (e.g., telephone/video conference calls, or Internet-based links to health professionals and support groups). Effective aftercare involves being aware that an initial intervention, such as treatment, is a first step in a longterm recovery process. Adopting a long-term approach to care often requires a focus on relapse prevention and strong case management supports. This approach will help to ensure continued engagement with a client and use community, cultural and social supports, as well as services in key social determinant of health areas (e.g., housing, employment, education, and living conditions). Support from family, peer networks, and friends, as well as access to housing, education, work, and opportunities to celebrate cultural identity, help support a person to be productive and connected to their community. Effective aftercare strategies could include follow up by treatment providers; additional supports for people with co-existing mental health conditions; “safe” living conditions to support recovery; and support for people moving to urban centres or other communities. Increased access to targeted prevention, early identification, and intervention services is required within many First Nations communities. As with universal prevention and health promotion (see Element 1), those best placed to provide these services and supports are often not appropriately trained or find it hard to create time and space to engage in activities with a preventive focus. Services that reach out to people with, or at risk of developing, a substance use issue are recognized as necessary within all aspects of community life. It is also apparent that funding and training opportunities are needed to ensure service providers and community members are comfortable enough to provide these types of services and supports. Many of the current screening and assessment tools have a narrow focus on limitations of the client and what is missing in their lives. Although there is a shift toward screening and assessment tools that focus on client strengths, to date, many of these tools have been used mostly with youth. People also recognize that in many cases, current screening, assessment, and referral processes are too time-consuming, flawed, or restrictive. The NYSAP has developed a more comprehensive screening and assessment approach, as well as tools that take into account a person’s own strengths based on cultural identity and resilience. Aftercare services represent a significant gap within addictions programming, both on- and off-reserve. As with prevention, granting time and space for aftercare can be hard to do. What gets in the way for community workers are high workloads and other, often more pressing concerns. Sometimes a lack of available, accessible, and affordable training or cultural resources can be a barrier to the delivery of aftercare. In the absence of available services, many clients must rely on support groups, family, and community to stay on their healing journey. In some cases, someone returning to a community may not have these supports or may still need more support for a wide range of problems linked to substance use issues. º targeted social marketing programs, such as sobriety promotion or anti-drug campaigns. • Screening tools for substance use and mental health issues that are basic, evidence-informed and culturally safe. These tools would provide a wide range of community members and health professionals with a series of screening questions that could be used with each client to find out whether a substance use issue is present and determine if a more comprehensive assessment is needed. º be supported by guidelines, training and/or workbooks that would help community members, service providers, and other care providers, both on- and off-reserve, to help clients set goals for substance use behaviours. For more discussion on screening and assessment, see Element 4. 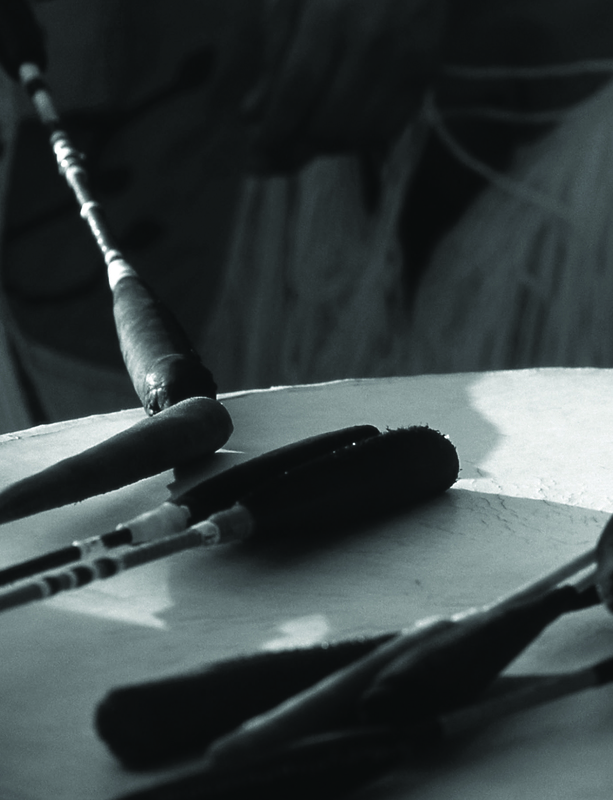 • Development of such tools and approaches will require collaboration with a wide range of workers providing services to First Nations communities (e.g., NNADAP workers, community members, cultural practitioners and clinical consultants) in order to identify existing opportunities for new screening, assessment, and brief intervention tools. It may also require that support staff get the correct training to perform the data entry and quality assurance checks required in all data entry. • Where possible, early identification services could be paired with case management (see Element 6) and secondary risk reduction supports (see Element 3). For example, when individuals with substance use issues are identified, basic assessment would also point out secondary harms and would provide guidance to case managers to make appropriate referrals. This may mean that coordination with a range of other services and supports will need to occur. • Recognition of aftercare as a priority is an essential part of the overall continuum of services. Partnerships among communities, treatment centres and a wide range of health, justice and social service workers are required in order to collaborate on the development of a strategy to support an aftercare model at the community level. Such a model would recognize that recovery is an ongoing process and that clients require continued, holistic support. • Ensuring community-based efforts have support from more specialized services and that referral guidelines are clear and well understood. º more access for clients to less intensive outpatient or community-based programs in support of both intervention and relapse prevention. For more information on aftercare (see Element 4). The services and support components in Element 3 are intended to respond to the needs of people at a high risk for negative consequences linked to substance use. Their risky behaviours may put themselves or others at risk, and result in a range of negative consequences that include but are not limited to: violence, injuries, sexual victimization, school dropout, domestic abuse, gang involvement, driving while intoxicated, suicide, needle sharing, HIV infection, having a child with FASD, job loss, family break up, child apprehension, and community crime. Services and supports in Element 3 seek to actively engage people in a wide range of settings and help connect them with care. Some individuals who have a substance use issue may not be willing, ready, or appropriate for certain more intensive services. Likewise, services may not be suited to the needs of these clients, particularly those services that require complete abstinence. Providing support and secondary risk reduction increases the chance that those at risk will experience some form of change and lower their levels of risk and harm. • screening, assessment, referral and case management. People who may be well placed to provide Element 3 services and supports include community-based mental health and addiction workers; cultural practitioners; social service workers; maternal child health home visitors; FASD mentors; law enforcement workers; correctional workers; offreserve outreach workers; staff at urban Aboriginal friendship centres; and a wide range of community and social supports (e.g., family members, Elders, teachers and friends). The general community is in a good position to provide secondary risk reduction, whether through informal or formal means. Within many communities, there is a great deal of knowledge and experience about well-being and recovery. Individuals who remain well-connected to their community through group events, (e.g., gatherings, feasts, and Indigenous ceremonies), and through connections to family and the land may be less likely to engage in risky substance use and therefore face fewer secondary risks. Likewise, there are a number of formal risk reduction activities that a community can take on, such as drinking and driving reduction campaigns; alcohol and drug abuse screening by health professionals; and alcohol management or control policies. These approaches may be formalized in risk reduction plans that take into account the unique needs of a given community, and outline a range of services and supports to best meet the needs of those at risk. Outreach refers to a range of community-based activities that serve to improve health and reduce substance abuse risks for people and families that may not usually receive or access such services at fixed locations. Most of the time, outreach involves connecting with people who use substances, rather than waiting for them to come to the services. Effective outreach often involves helping a client determine what life changes they feel ready and able to make, and helping them connect with a wide range of health and social supports. This may include a range of approaches to provide/enhance skills, knowledge, resources, and support that individuals need to live safer, healthier lives. Outreach may occur in a wide range of situations, including primary care, recreational activities, community gatherings, talking circles, cultural teaching events, or in a person’s home. Risk assessment is a part of care planning. It involves engaging with clients and social and community supports, as well as sharing information and protocols among services. After risks have been identified, risk management plans are developed with clients and their supports, and put in place to prevent immediate harm. For example, if there are concerns about harm to children around a mother’s substance use, social services would normally be involved in any further risk assessments. In this case, secondary risk reduction programs or services could create immediate outreach plans to meet the client’s unique needs. This might involve screening, brief intervention, referral, (e.g., support offered through mentorship programs for mothers-at-risk or through social and cultural support networks). As with early identification, intervention, and aftercare (see Element 2), the desire to reduce the negative consequences linked to substance use requires an understanding of all the factors that play a role in the client’s substance use behaviours. This can be done through screening, assessing, and referring clients to services and supports that match their needs, strengths, and readiness to change problem behaviours. There is also a need to respect each person’s informed choice of what types of approaches may work best for them. A wide range of service providers and community members can provide such services, particularly when they have training and an awareness of available resources. As well, referrals may not always be to formal services. In some cases, they may connect people to cultural workers or other social supports. Coordination of these services and supports often requires a case manager to access the types of services needed and to ensure ongoing care (see Element 6 for more information on case management). 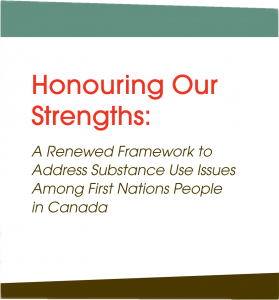 Substance use issues and their negative consequences generate high social and financial costs to First Nations individuals, families, communities and society as a whole. Secondary risk reduction programs are currently limited within many communities. This is particularly true for more isolated or remote communities. Approaches, where available, are typically delivered by NNADAP communitybased addiction workers. In many cases, these services are often delivered independently of one another and without much coordination. Applying risk reduction activities may be challenging in some community settings. Many communities have a strict focus on abstinence and prohibition with respect to any psychoactive substance use. Often these approaches do not support less risky or reduced substance use required for many secondary risk reduction approaches. The support for strict abstinence within many communities could be a barrier to exploring a wider range of risk reduction supports and may require further discussion, particularly given the persistence of alcohol and drug-related harms. Other issues identified in regional needs assessments relate to staffing, training, role clarity, program-specific policies, and financial resources. All of these can affect the degree to which secondary risk reduction services are organized within a community. While there are debates about secondary risk reduction as an approach to substance use issues, communities seem to agree that services in this element are much needed and they are open to finding ways to discuss potential strategies for reducing secondary harms. • Awareness of substance use-related costs and consequences of at the community level. This would help to support service delivery and planning at the community and regional levels in partnership with health units, nursing services, and provincial services. • Completion of a community-based needs assessment on the services and supports for people with substance use issues. This may include finding out what kinds of services and supports exist for people at risk within a given community (e.g., people who are either not ready or not a good fit for treatment or those who have used services in the past and need more support), and what might need to be put in place. º injection drug use services, where appropriate, such as needle exchange programs, methadone maintenance programs, and anonymous HIV/ AIDS testing. • A wide range of workers with the training and skills to support people at risk of secondary harms, so that clients at risk of negative consequences may be identified in a timely way. • Partnerships with existing organizations and between community programs that now provide risk reduction services to First Nations clients. While formal relationships are not required, agencies with secondary risk reduction mandates, particularly for First Nations clients, could be excellent supports to NNADAPbased programs. Some examples include the Canadian Aboriginal AIDS Network; the Ontario Aboriginal HIV/AIDS Strategy; and the Healing Our Spirit BC Aboriginal HIV/AIDS Society. The service and support components in Element 4 are intended to respond to the needs of people who are experiencing moderate to severe substance use issues. Element 4 includes a range of approaches, including counselling, education, group therapy and cultural approaches, which are often more intensive than those in other elements. The goal of active treatment is to reduce the dependence on alcohol and drugs, as well as any negative health and social consequences linked to the use of such substances. Supporting people with alcohol and drug addictions and those close to them, active treatment also requires a range of client-centred, culturally competent approaches available throughout their healing journey. This often requires a range of treatment services and supports that assist individuals to achieve the ultimate goals of adopting healthier behaviours; enhancing their connection with family and community; and reducing addictive or compulsive behaviours and patterns. • Discharge planning and aftercare. Services and supports for active treatment are generally provided in outpatient, day, evening, or residential settings, or on the land by health and social service professionals, as well as Elders and cultural practitioners. 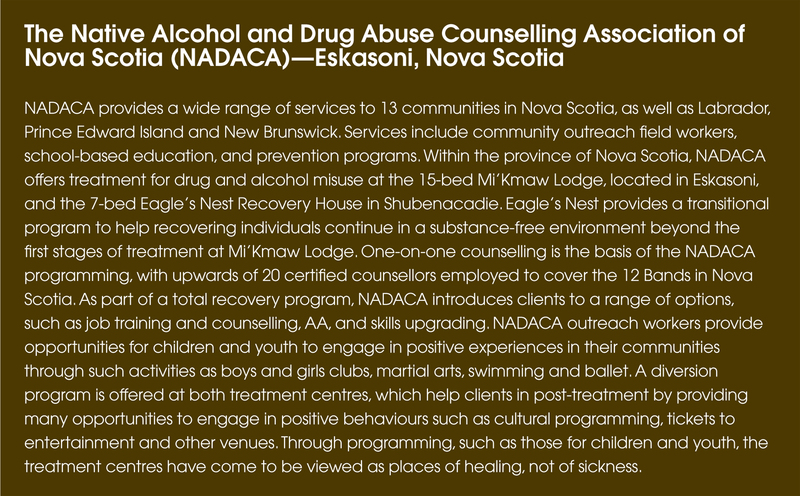 These individuals include but are not limited to addiction counsellors; NNADAP community-based workers; psychologists; social workers; case managers; cultural practitioners; staff at urban Aboriginal friendship centres; and for some services (e.g., withdrawal management) nurses and doctors. Early identification and intervention through effective screening is an important first step in client care, and is typically done by a health professional or someone who has a trusting relationship with the individual. The goals of screening are to find out if someone has a substance use or mental health issue—including whether or not they are at risk—and to determine if a more comprehensive assessment is needed (see Element 2). At the assessment stage, the client and health care worker work through a structured set of questions or criteria to define the nature and severity of the problem(s), as well as the client’s strengths, supports, resources, readiness to change, and mental health status. Assessment is typically carried out by a trained professional at a community, regional, or treatment centre level. A primary goal of assessment is to determine if a client is in need of additional support and to refer them to the appropriate source. It is important to match the client’s level of need with appropriate intervention options. Effective assessment is grounded in a therapeutic relationship that builds a rapport, enhances motivation, and develops a collaborative treatment plan. See Element 2 for more information on screening and assessment. When a person is addicted to drugs or alcohol and discontinues use, they will experience withdrawal symptoms that may be felt psychologically, physically, or, in some cases, both. Withdrawal symptoms vary considerably from one client to the next based on factors like the type of substance a person is addicted to; the length and frequency of use; and associated health issues. Whether or not medical support is required is often determined after an assessment by a qualified medical professional. For instance, people who have been taking large amounts of opioids (e.g., heroin, OxyContin®), pain medications, or alcohol either alone or together may need medically monitored withdrawal management services. In the majority of cases, people with mild withdrawal symptoms from alcohol or drugs and people using cocaine, marijuana, opioids, or methamphetamine require little to no medical support and often do not need to be hospitalized for detoxification. • Stabilization supports for people experiencing persistent psychological effects after successfully withdrawing from a substance (e.g., post-acute withdrawal syndrome). This may involve ongoing monitoring, assessment, case management, and treatment planning; and can be offered in a range of settings including recovery houses, residential treatment centres, or through outpatient, day or evening programming. Treatment planning involves setting goals and objectives, and choosing a full set of staged, integrated treatments for each problem. The plan is matched to the client’s needs, readiness, preferences and personal goals, and should be connected to broader care planning efforts (see Element 6). It should also consider their cultural, community, and family supports and relationships, and also involve developing hope and motivation, as well as focusing on non-chemical stress management techniques. It is crucial that the client takes an active role in this process and has a chance to be directly involved in setting their course for treatment. Access to community and agency supports and resources is necessary for pre-treatment care. It is essential for referral workers to work closely with community and treatment workers, and other available agencies and resources, in order to support the client’s preparation for treatment. Case management is a client-centered approach where a service provider (such as a referral worker, Elder, or case manager) or a team of service providers coordinates various health and social services to meet the special needs of each client. It may also involve multidisciplinary partnerships to support the client from pre-treatment to aftercare. To learn more about case management, see Element 6. Treatment programs offer clients a range of services and supports aimed at helping clients stop or reduce an addiction to alcohol and/or drugs, and to improve their overall quality of life. Treatment may occur in a variety of settings (e.g., residential centres, direct counselling in the community, outpatient, day, or evening programs), or land-based healing programs. It may also consist of a variety of approaches and models, and vary in its intensity, specialization, and duration. Specific approaches to treatment need to include an awareness of, and sensitive responses to a client’s needs, including possible mental health issues, age, gender, substance(s) of use and abuse, language, culture, and co-morbid conditions. The approach to treatment may involve the use of medications, behavioural therapy (such as individual or group counselling, cognitive behavioural therapy), or a range of culturally-based activities. After a client has completed a treatment program, it is important to build on the strong foundation set by the treatment process. This process of continuing care and support is a period of less intensive treatment usually referred to as aftercare. Aftercare is often set up during discharge planning at a treatment centre, but may also be part of care planning efforts initiated at any point during a client or family’s healing journey. Discharge planning is a process that guides such things as a return to the community and family; access to case management services; connection with services in key social determinant of health areas (e.g., housing, employment, education, living conditions, and social support); or a referral to a more intensive and specialized program when a client is leaving a structured treatment experience. It is also important that discharge planning begins when a client first enters a treatment centre to provide time to arrange necessary post-treatment supports. It involves making sure that ongoing support networks exist in the form of peer groups (e.g., going to 12-Step meetings or linking to community resources) and, if necessary, transitional housing. For more information on aftercare, see Element 2. Addiction treatment services for First Nations populations are mainly provided through community-based addiction workers and a national network of treatment programs managed by First Nations organizations and communities. Residential treatment centres, while governed at the local level, are national resources and many centres accept referrals from all parts of Canada. There are also multi-disciplinary teams in some communities offering mental health and addiction services. Other factors include high workloads, stressful working conditions, and low wages. In all regions, factors that have an impact on workers’ capacity and ability affect whether and how a client’s needs can be met at the local level. This is most true for youth or clients with more complex needs, such as those with complex mental health and addiction issues. Community-based addiction workers are the ones most likely to refer clients living on-reserve for treatment. However, the level of interaction and communication between community-based addiction workers and treatment centre workers before, during and after treatment is described as limited. A similar problem exists for offreserve referral sources such as friendship centres, social workers, counsellors and psychologists. The lack of a consistent and streamlined approach to client assessment and referral has been consistently recognized as a challenge by both communities and treatment centres. In some cases, different, and incompatible, assessment and referral tools are being used. As well, some assessment tools require training or fees for use, which create barriers to their consistent use. Through the regional needs assessments, both communities and treatment centres alike have called for a more standardized approach to reduce duplication of efforts and ensure that clients are matched with services appropriate to their needs and strengths. In general, community-based addiction workers report that they devote large amounts of time to the referral process, while treatment centre staff report feeling frustrated by being sent “inappropriate” clients both from communities and provincial services. All of the 58 First Nations addiction treatment centres provide culturally-relevant inpatient, outpatient, and day treatment services for alcohol and other drugs. Most of these use a number of treatment approaches—often a blend of cultural and mainstream—as well as life-skill and self-care techniques. Programs can vary in length but are usually between 29 and 42 days. At present, 10 programs provide specific programming for families while 12 are directed at youth. Nine focus mainly on solvent abuse and 17 are gender-based. These treatment centres are accessible either on an ongoing basis, or for certain clients, when needed. Given the often chronic nature of addiction issues, characterized by high risk of relapse, one treatment episode is usually not enough. Most people who access treatment require multiple treatment attempts and ongoing post intervention support. Limited access to provincially-based detoxification services has been a recognized barrier to effective client care. Where detoxification services are available, some communities have reported concerns with the cultural appropriateness of these services, as well as difficulties accessing them due to long wait lists. In some cases, ensuring appropriate access requires clarification of funding responsibilities for these services between federal and provincial levels of government. In cases where medically based withdrawal management is not being offered by provinces, some communities have expressed interest in providing withdrawal management in their community. This is a highly complex area of service, requiring a comprehensive approach to ensure client safety. As with community-based addiction workers, treatment centres are facing higher numbers of clients with ever more complex needs. Some centres have been working to set up specialized programs to respond to these needs, such as prescription drug abuse and mental health issues. The ability of treatment centres to respond to more complex client needs is directly related to their access to specialized training, clinical supervision, and often access to other psycho-medical supports. As long as difficulties accessing these specialized supports continue, the capacity to assume more complex cases will remain limited. The same is true at a community level. • Client travel to medical services is not a service normally provided. Unless treatment programs are able to provide medication for people in treatment, the coordination and provision of the necessary supports for dose management present a barrier to client participation in needed care. Treatment centres range in size from 5 to 30 beds. The centres are based in remote, rural, and urban settings. The physical state of treatment centres has been flagged as a concern in many regions with some centres having limited funding to do basic maintenance, let alone major renovations. In recent years, some limited funding supported building maintenance. However, this funding was reported to be less than what was needed. In some communities, inpatient facilities have been re-profiled to outpatient centres. This has been done in response to community needs. However, this has resulted in re-profiled programs becoming regional/local in scope, rather than national resources. In other regions, no shift to outpatient treatment centres has happened and “the centre” has been identified as a safe place for clients to go, especially when their communities are not. Detailed information on how all the treatment centres are used is limited; available data shows major variations in bed occupancy rates, ranging from three-month long waiting lists to centres that are running well below capacity. Per bed costs also vary widely, particularly when economies of scale, travel costs and operating costs associated with treatment are included. While treatment centres are consistently identified as important resources to support the wellness of the population, there is also growing recognition that this must be supported by effective services at the community level. • Standardized mental health and addiction assessment tools. Such tools would be comprehensive, culturally safe, and easily adapted to meet the unique needs of different regions and populations. • Cultural assessment tools developed to learn about a client’s spiritual, community, or cultural needs. These tools would help to raise awareness and assess the strength of a client’s spiritual connection to family, clan and community. • Streamlined electronic referral systems that may include online bookings. This would help referral workers to quickly find out which programs have available beds/spots. • Basic information for community and referral workers on the correct way to offer pre-care services and supports, as well as treatment planning. • Where available, a liaison with drug diversion courts and mental health diversion courts. Opportunities with these specialized referral routes include decreasing periods of incarceration. Liaisons should include “front end” interface with drug diversion courts as well as post-treatment planning and follow-up. • Collaboration with medically based withdrawal management (detoxification services) available off-reserve. This would include better coordination and information exchange between services, and a focus on key service gaps (e.g., for youth and women). Inter-agency memoranda of understanding and protocols for culturally safe withdrawal management may need to be developed. • A system-wide approach to non-medical or minimally medical (e.g., visiting a doctor or accessing a nurse while home detoxing) withdrawal management within communities and treatment centres. This approach would include protocols that are easily adapted to each community’s needs and resources. It would take into account problem severity, substance(s) being used, health risks, and, as needed, culturally based medicines, ceremonies and supports. It would include the need for stabilization, pre-treatment supports and limited medical supports, where required. • Consideration of stabilization services and supports for people experiencing persistent psychological effects after successfully withdrawing from a substance (e.g., post-acute withdrawal syndrome). This approach would look at including a variety of postwithdrawal management and pre-treatment programming for clients who are not able to or do not want to immediately access more intensive services, and could be offered in a range of settings, such as recovery houses or through outpatient, day or evening programming. These services are crucial for transitioning an individual from withdrawal management when appropriate services are not available. • A coordinated approach to treatment planning and pre-treatment care for clients and their families. This approach would be linked to community- based resources, such as recovery houses or outpatient, day or evening programming, as well as stabilization and case management supports. Such an approach would seek to identify key people to support individuals in early recovery and to assist with strength-based treatment planning. It may also consider the needs and available supports for children or other dependents when their parent(s) or primary care provider(s) might need to leave home to access treatment. • Pre-treatment check-ins for clients who are awaiting admission to a treatment facility. This type of support can make them more “treatment ready,” and increase their likelihood of successfully treatment. • Community-centred case management approaches that involve multidisciplinary and multi-jurisdictional teams or partnerships to support clients from pre-treatment through to aftercare. For more information about case management see Element 6. • Standardized intake approaches at centres, aligned with the standardized universal referral packages discussed earlier, and including (as needed), medical and mental health screening and assessment. • Approaches to care must be flexible and responsive to client needs at all levels of treatment. They must also reflect a client’s own Indigenous strengths and connections to culture. An emphasis on ways to strengthen the client’s involvement in the treatment process will allow better outcomes to occur. Ways to do this include looking at how a client’s involvement and treatment success are impacted by the design of the environment; the staffing model; cultural competencies; a focus on the client’s strengths; and the support of family and community. • A system-wide approach to clinical supervision, especially when it comes to co-occurring mental health issues, for both treatment centres and community-based workers. 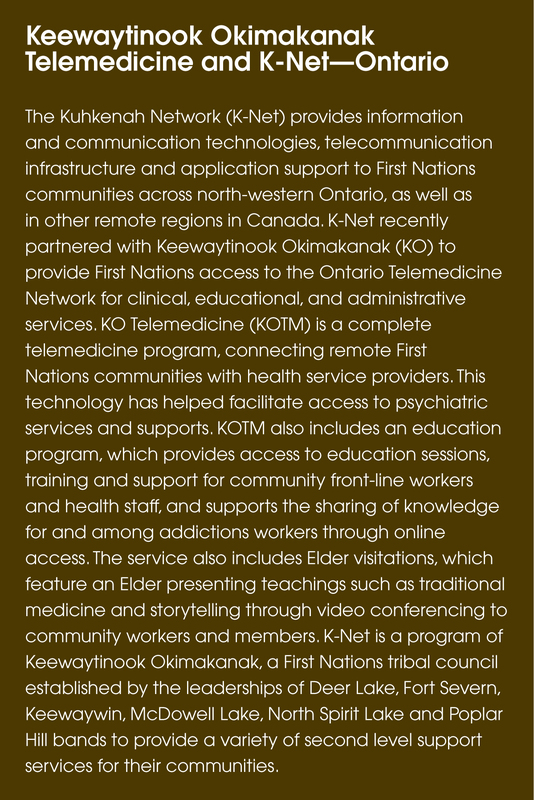 This approach could include in-person support on a rotating basis to First Nations communities and support through the use of technology (e.g., video conferencing, e-mail, or a 24-hour telephone line) for workers to receive clinical supervision, advice, and guidance. • Exploration of opportunities to develop manual-based treatment approaches, based on clinical, best practice evidence that can be tailored to community or cultural needs. • Treatment centre admission policies that support access for clients based on their stage of readiness for change, mental health or addiction pharmacological needs, or unresolved issues with the justice or child welfare systems. • Recognition of the importance of family and the need to work with families before, during and after a client’s stay in treatment to maximize successful outcomes. This is most relevant for youth, but is important for all clients. • NIHB medical transportation policies, in line with practice-based evidence on client outcomes, to provide access to the services that are the best fit (not just the nearest), and that support a client’s return home should they not complete treatment. Such policies would also support a return to treatment even where there has been a previous attempt, and provide support, where appropriate, for family to be involved in treatment. 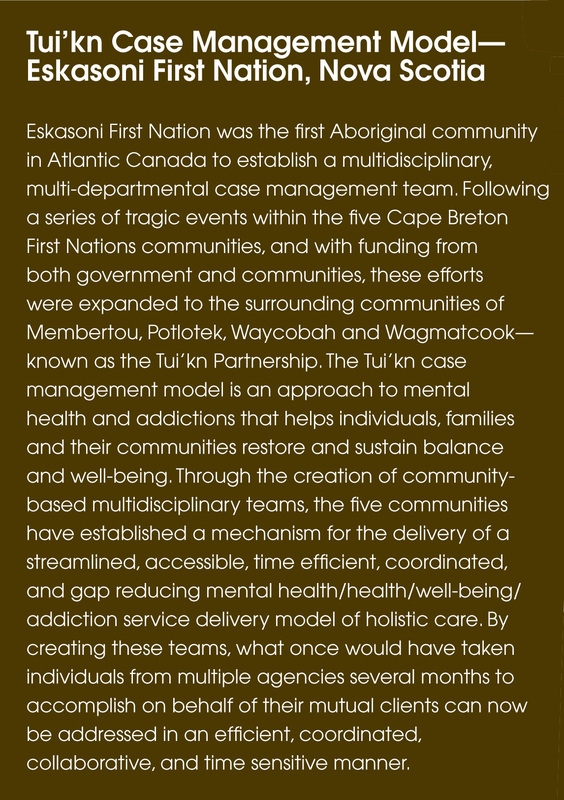 • A culturally competent system-wide approach that supports cultural practices within treatment programs, through policy, program design and service delivery. º acknowledging the community’s right to define what a cultural practitioner is and “sanction” specific cultural practitioners. 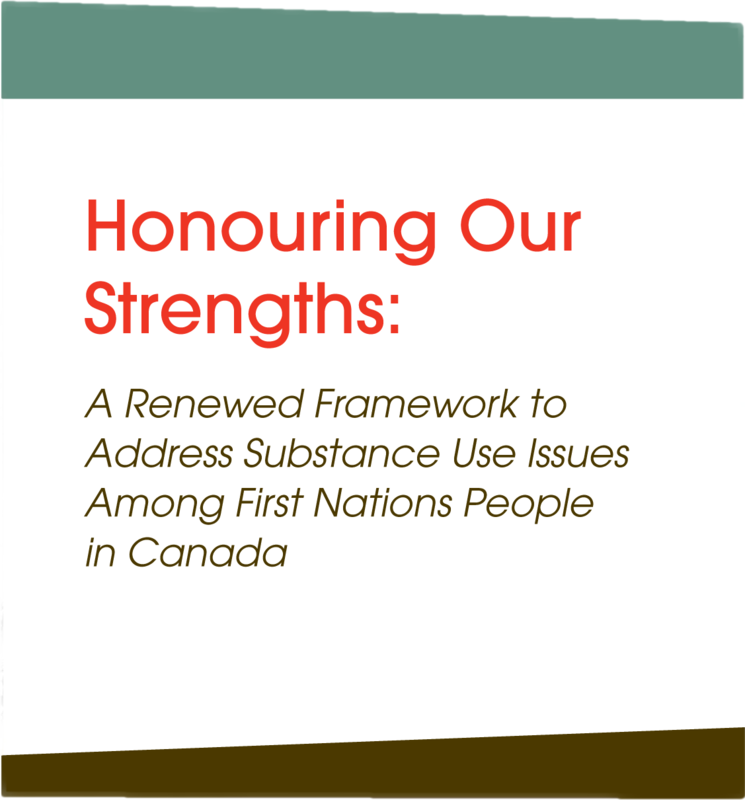 • Further research on the extent and kinds of treatment approaches that are most likely to help First Nations people, families, and communities defeat prescription drug abuse, including research into non-drug, culturally based forms of treatment. º standards of practice that set out such things as client rights, including the right to choose to be part of cultural practices; conflict resolution and grievance processes; scope or limitations of practice; named healing methods; diversity of practice; screening and assessment; resources and materials to support cultural practices; research, training, and information management; and record keeping and compensation. • Collaboration with primary care services to better serve clients with other health issues (such as chronic pain, tuberculosis, or diabetes as well as expectant mothers). This will include stronger relationships with nurses and doctors, and may also involve dieticians and other health workers. • System-wide goals to address the needs of all populations are required to remove barriers, combat stigma, and ensure proper services and full community participation. 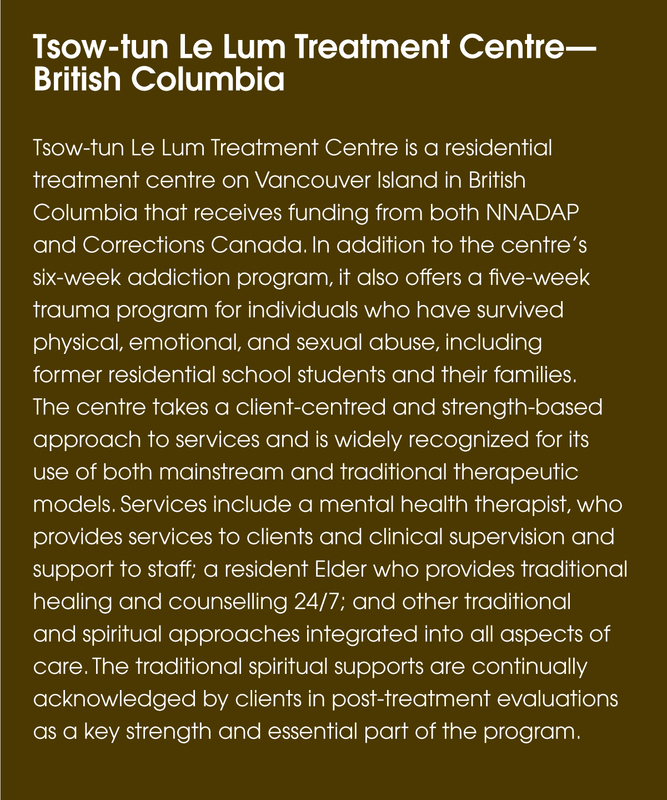 º best use of existing resources, including a systemwide approach to addressing treatment centres that operate below capacity, as well as consideration of how to strengthen the capacity of programs in order to intake clients on a continuous basis. • Increase multidisciplinary support for NNADAP/ NYSAP staff and provide specialized services more often. This would include case management processes and policy development, clinical supervision, direct service delivery, and training. It would also support strong links with crisis intervention and centre-based addictions services, specialized mental health services, and justice services. • Efforts to improve physical structures through more capital funding to treatment centres, and through spaces within buildings that allow for cultural practices, such as rooms with fans or vents so smoke can escape, larger group spaces, more offices, and areas for physical activity. • Stronger relationships between treatment centres and referral workers (or communities) in all phases of client treatment, as defined and supported by policy development. Treatment centre counsellors could use tele/ video conferencing to connect the client with the local care worker as part of the aftercare/discharge planning process. Other opportunities to support these linkages include networking forums for addiction workers each year and cross-training opportunities. • Better recognition of social determinants of health in discharge planning and aftercare through greater collaboration with social services and an increased focus on life skills, emotional intelligence, or job training, both within programs and as a key aspect of aftercare planning. • Stronger support for relapse prevention, especially as based on the Marlatt model within treatment that focuses on both immediate determinants of use (e.g., high-risk situations, outcome expectations, and coping skills), covert antecedents (e.g., lifestyle factors, urges, and cravings), and seeks to strengthen family, community and cultural supports. • Development and support for community-based peer support programs to assist individuals and families in recovery. • Using new electronic approaches to support clients (e.g., e-mail, social media, hotlines, an anonymous online discussion forum for aftercare), and providing “booster” or refresher programs for former clients at risk of relapse. The service and support components in Element 5 are intended to provide specialized treatment for people whose substance use issues are complex and severe. People with highly complex service needs, including individuals with severe addiction and/or mental health and chronic health issues, require effective screening; assessment and referral; cul­turally competent services; and ongoing support and moni­toring. Those who access these care options, whether within or outside of the community, benefit from strong connections to their support networks, such as family and community. The kinds of services provided in Element 5 are the same as those outlined in Element 4, but usually with significantly greater levels of intensity and professional specialization (e.g., psychiatric intervention and medically-based detoxification). • community-level capacity and support. Services and supports for specialized treatment are gen­erally provided in acute care or specialized care settings. Doctors, psychiatrists, psychologists, social workers, and cultural practitioners are the primary service providers, and often provide support through strong case manage­ment services and supports. Coordination of care efforts, such as case management and multi-disciplinary teams, that facilitate collaboration among care providers in a manner that is culturally com­petent are important for supporting clients with complex needs. This collaborative approach is essential given the range of services often required by clients in this element. Cultural competence requires service providers to have knowledge of, and openness to, the cultural realities of the clients they serve. It also requires that service pro­viders are aware of their own worldviews and attitudes toward cultural difference, including how these may influence the type of care that is provided. To support cultural competence within the system, it is necessary for Indigenous knowledge to be translated into current realities so that cultural principles and knowledge meaningfully inform and guide the direc­tion and delivery of health services and supports on an ongoing basis. Capacity and support must be in place for community based workers to ensure that clients with highly complex needs get the support they need in time. This element allows trained service providers who have the required resources and tools to effectively screen and refer cli­ents with complex needs to addiction and mental health assessments, specialized services and aftercare. This com­ponent also involves making sure that community mem­bers are aware of and understand the health problems that commonly occur along with substance use issues, and the types of supports that are available. Collaboration among service sectors (e.g., the justice and education systems) and service providers is also impor­tant. A strong network that works together will make it easier for a client to move through the assessment, referral, treatment, and post-treatment phases of care. However, communities may need to find and use inno­vative ways to provide intensive services and supports. An example might be tele-psychiatry. It can be linked to primary health care services to effectively provide the client with the medical-based care needed, and a vari­ety of cultural healing approaches and supports within communities. Federal, provincial, and First Nations gov­ernments all play an important role in sup­ porting First Nations people who require specialized services. Most of these services, however, are delivered and funded by pro­vincial governments. As well, it is not uncommon for clients in need of specialized services to only get access to them when they are involved with the justice system. 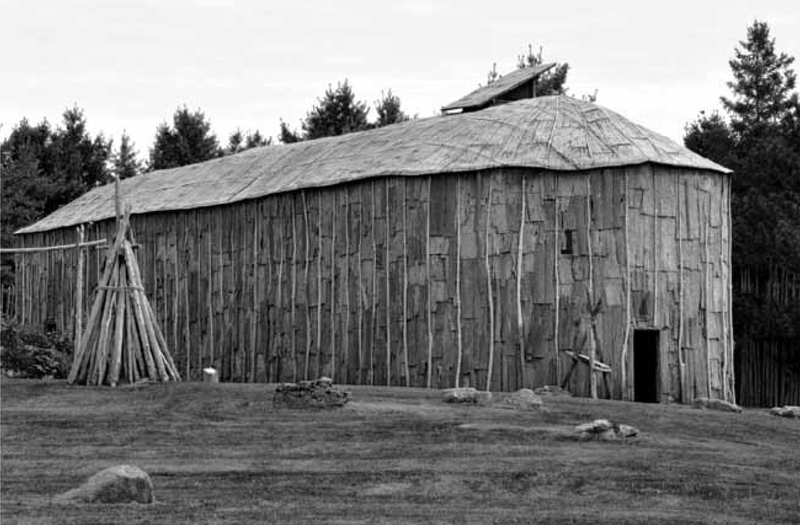 When provinces shifted away from institu­tional care and towards community-based models of service, this impacted First Nations communities. The need for specialized, more intensive services remains a significant con­ cern both within the NNADAP/NYSAP system and in other social and health systems across Canada. For example, limited beds in psychiatric hospitals mean that long waiting lists are often to be expected when attempt­ ing to find the appropriate services for some­ one with highly complex needs. In many cases, clients with complex needs require support from a range of care pro­viders, both within and outside their home community. This type of support often requires information exchange and coordi­nation between various care providers and, in some cases, jurisdictions. Navigating through these separate systems of care is a challenge that those who provide services and supports to clients frequently face. As well, clients living in remote communities may suffer limits or delays in care if there is reduced access to primary health care and social service providers who play a critical role in assessing and referring people to specialized services. Although community-level resources for people with complex needs are often inadequate, there are some communities with access to more specialized services. In general, however, most of these services are offered off-reserve. The concern with off-reserve services is that they may not be culturally safe and the client may lack the support that comes from community, family and cultural networks. 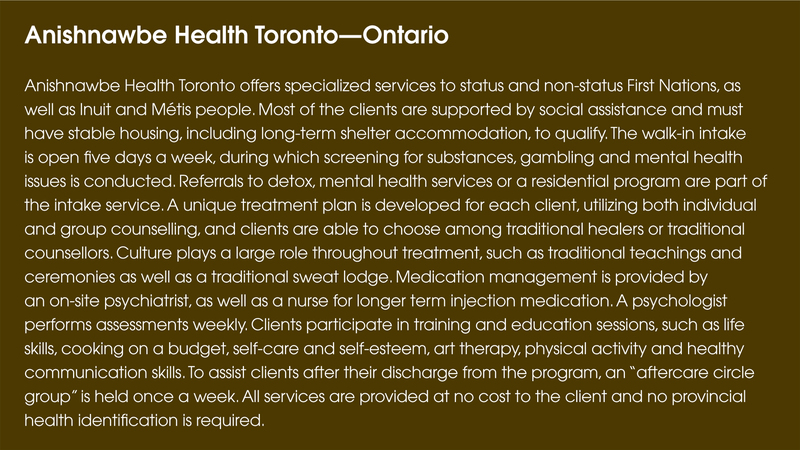 In addition, clients with complex needs are also referred to NNADAP/NYSAP centres when they should not be. Although this is not ideal, many centres do their best to manage clients’ complex and concurrent needs so that the client will not be discharged before addiction treatment is complete. • Enhanced access to culturally safe and specialized services for clients within federal and provincial correction systems. Efforts could also be made to link clients with appropriate community services and supports (e.g., family, community and cultural) when they are released. This will help to ensure continuity of care and successful reintegration into community life. • Approaches to screening, assessment, referral and case management that ensure strong linkages between services and supports amongst communities and provincial and federal partners. • Policies and formal agreements designed to coor­dinate the range of services and supports necessary for clients accessing specialized services across juris­dictions. These measures will help to reduce ser­vice gaps, make roles and responsibilities clear, and increase resources to meet client needs. Examples of such policy tools include inter-ogency memoranda of understanding or agreements. • First Nations’ world views, an understanding of cultural practices and traditions, and the history of intergenerational trauma could be included in treatment and care plans. For example setting out the role of intergenerational trauma in concurrent mental illnesses. This would enhance both a cli­ent’s comfort level when receiving care outside the community and treatment outcomes. • Greater cultural competency among specialized service providers can lead to culturally safe care. For example, the Royal College of Physicians and Surgeons of Canada has a framework on cultural competencies that could be used or adapted to local contexts. It sets out core cultural competencies in a First Nations context for undergraduate, post­ graduate, and continuing education medical studies. • Cross-cultural training between NNADAP/ NYSAP workers and mainstream service provid­ers, with an emphasis on ensuring that the ser­vices and supports they provide are culturally competent and culturally safe. Training could be provided within provincial education services and through training courses in collaboration with NNADAP/NYSAP treatment centres and First Nations communities. • The promotion of community awareness and edu­cation (with a focus on mental health and illness) in order to reduce stigma and to inform clients about how services can be accessed. • The promotion of community-centred case man­agement and the capacity for outreach that would involve multidisciplinary and multi-sectored teams or partnerships. Clients with complex, long-term needs and changing priorities require a team-based approach. It is most helpful to set up a long-term support system that draws on services from a num­ber of sectors in a coordinated and strategic way. It would also help to use the limited care that can be provided within the community setting without fully exhausting it. • Policies, services, and supports that foster cultur­ally safe care for First Nations people who have highly complex needs. This may mean that fund­ing and payment models would need to be adjusted to include Indigenous elements of care within care plans. • The presence of primary health care services–and ideally specialized health services–within the com­munity. This is very important, especially when it comes to effective assessment and referrals. Where a lack of resources limits services at the commu­nity level, solutions such as online, mobile, or tele­ services (such as tele-psychiatry) could be explored. • Services and supports to meet other needs such as housing, jobs, education and parenting skills. Care facilitation can refer to formal case management or it can involve other forms of community-based, professional, or social support. No matter what it looks like, an effective system of care requires coordination between these various services and supports for individuals and families throughout the healing journey. This system of care provides collaborative and consistent communication, as well as planning and monitoring among various care options specific to a client’s holistic needs. It relies upon a range of individuals to provide ongoing support to facilitate access to care. 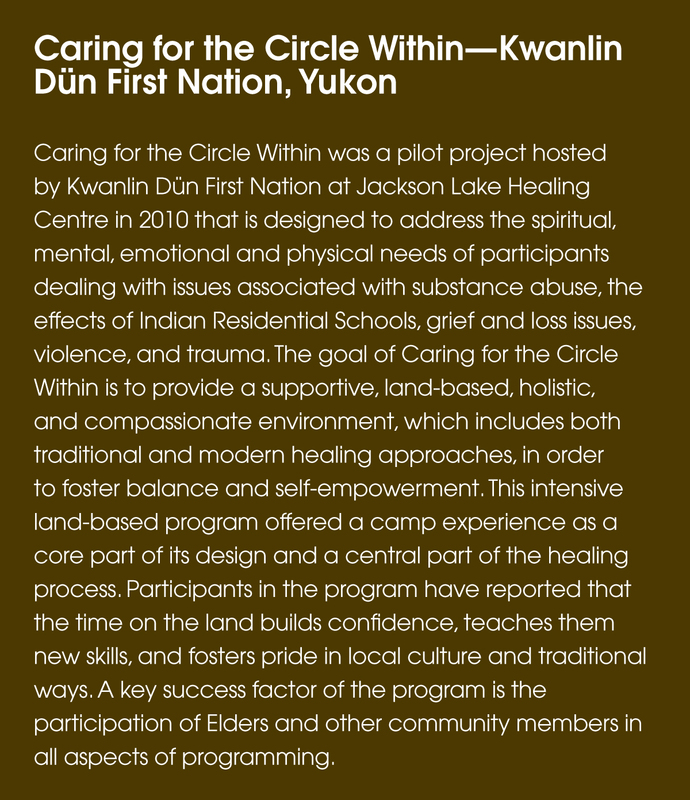 The people who are well-placed to provide care facilitation include any service provider involved in the client’s care (such as NNADAP community-based addiction workers, case managers and staff at urban Aboriginal friendship centres), as well as community members (including Elders and cultural practitioners) who can support clients and their families in accessing the care they need during their healing journeys. Social and cultural supports are an essential component of an individual or family’s healing journey. These sup- ports can not only provide an essential source of encouragement and care but may also help identify care options, navigate services, and maintain connections between various other supports and care providers. This kind of sup- port includes family, friends, and community members. Once a client has been screened and assessed (See Elements 2, 3 and 4), a range of individuals can help to develop a unique care plan grounded in the individual’s or family’s strengths, values, and goals, based on available resources and services. Care plans map out key services and supports throughout an individual’s care journey, which often take place at various stages. This plan may outline a range of formal and informal services and sup- ports, including those care options that address key social determinant of health areas (e.g., housing, employment, education, living conditions, and social support). Care plans should be reviewed frequently with clients and adapted as their needs change (e.g., with the addition of an aftercare plan post-treatment). Through relationship-building and information/resource sharing with clients, their families, and other community services, this component makes it possible to establish meaningful partnerships within the community. It can allow providers to make the best use of limited resources and supports, enhance community and individual capacity, and remove or reduce delays and needless duplication. This approach may be something as simple as frequent meetings between health and social service providers or the identification of one worker within the community who is solely responsible for wellness-based case management. To support access to both on- and off- reserve services, it may be necessary to have regionally- based case management support as well. This component involves speaking out on behalf of the clients and their families in order to enhance the continuity, accessibility, accountability, and efficiency of resources and services available to them. Advocacy can happen at individual and community levels. It can also have an impact on policy development to improve prevention, health promotion, early identification, and treatment services. This component provides ongoing review and recognition of what the client has achieved. It may involve adjustments to goals and changes to care plans, as needed, to serve and support the client during the healing process. Mental health and addictions systems are fragmented and require enhanced coordination. Services and supports vary between communities and are offered by different levels of government, with often limited collaboration. Informal care facilitation is well-established in many communities. Often, community and family members assume key roles in sup- porting care. However, given the complex and fragmented nature of the services available and the limited awareness of available services, finding care for their family members can often be a challenge. More formal care facilitation (e.g., case management) is not currently available in many communities or at the regional level. This often means clients are not aware of the services available to them including housing, job training, education, and community and cultural sup- ports. Communities that do provide case management often find that the practice is uncoordinated and lacks effective communication and information sharing. Workers often lose contact with clients after the client leaves a treatment centre. As well, uncoordinated service delivery can mean that clients must wait longer to get and benefit from services. Sharing client information among service providers has raised concerns about privacy in First Nations communities. The proper ways to share information are often not in place. In smaller communities, where everyone knows each other, keeping information private can be hard to do. º include a focus on support for family members and other loved ones. • Case managers from allied services who refer people to NNADAP services could receive cultural competency training, provided by a First Nations institute as this becomes increasingly more common across provincial health authorities. • Standardized assessment tools and placement criteria would also contribute to increased information sharing and the use of available resources, such as referring people with the most severe issues to the most intensive treatment settings. • A full and coordinated referral system that allows for referrals between on-reserve and off-reserve resources, and among mental health, addictions, and primary care services. This kind of system would also recognize the important role that community and family members play in care facilitation. 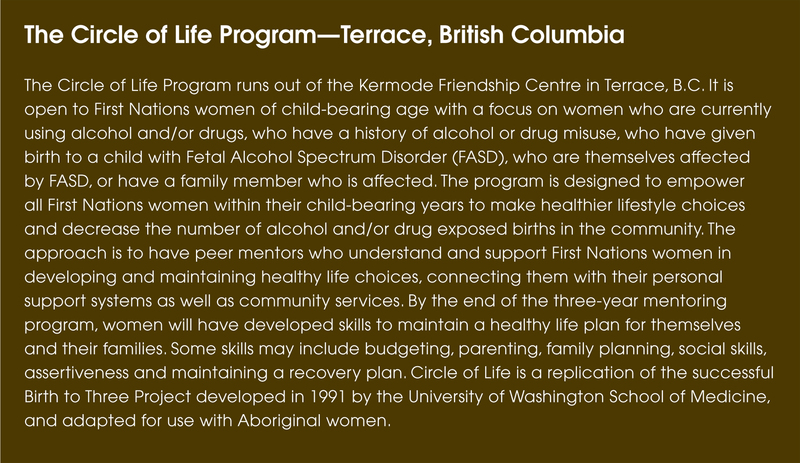 The referrals would identify potential risks, drug use, client history (e.g., personal medical and impacts of colonization through intergenerational trauma), and other issues facing the client from a strengths- based perspective (especially cultural identity), to facilitate collaboration, information sharing, and care planning with all available supports. • Increase awareness within communities of the range of available services and supports, including the eligibility criteria for accessing these services. Increased awareness of these services will help family and other social supports refer individuals to appropriate screening, assessment or intervention settings. This may involve something as simple as the development of a pamphlet that would be available within public areas.